Imagine your entire patient population in one room. Every patient is unique, the crowd is immeasurably large and the patients pass by just as quickly. How do you reliably predict which patients are likely to have an adverse drug event from a “standard” prescription? How do you apply personalized care to a busy, moving population? Meet the YouScript Risk Analysis Dashboard. 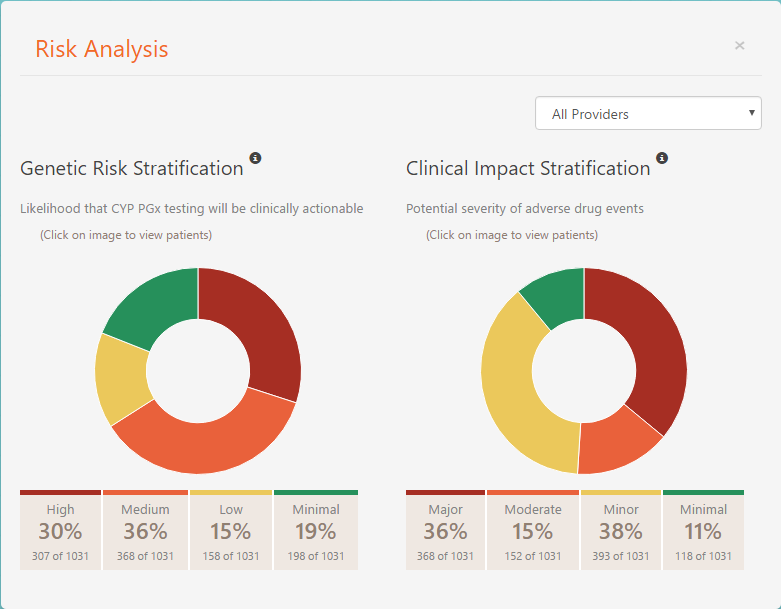 One click shows you patients whose drug regimens are likely to be affected by genetics. A second click shows you how many interactions exist – or are predicted – and what to do to resolve them. Entirely evidence-based, the YouScript Personalized Prescribing system makes the complex process of customizing prescriptions to an individual’s inherent drug metabolizing capacity easy — even in the busiest of practices. If you are already ordering drug sensitivity/pharmacogenetic tests for your patients, request your free 30-day trial of YouScript to experience a faster, easier way to incorporate genetics into your prescribing decisions. If you are new to pharmacogenetics, request your free Risk Analysis or YouScript testing supplies and we’ll help you identify which patients genetic analysis can help.